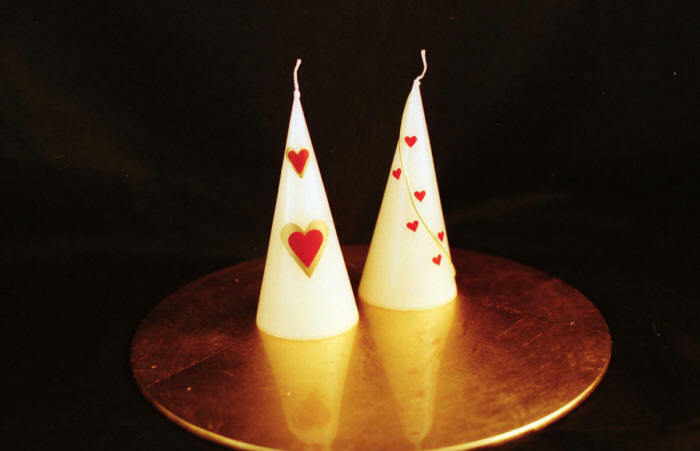 One of our most popular lines is our range of Special Occasion Candles. 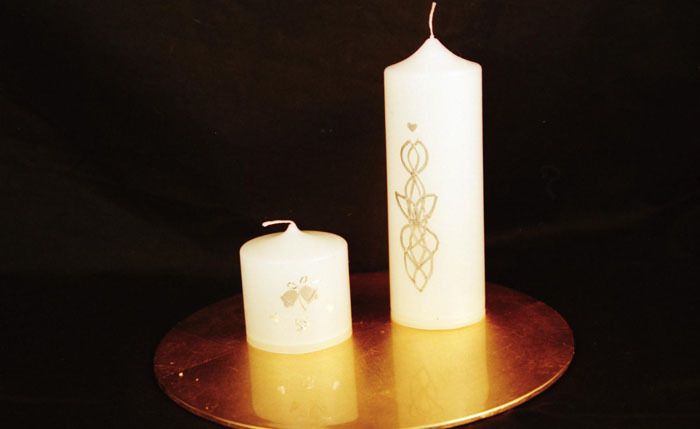 Our Candlemaker will take a candle in the style and colour you choose, and hand-craft Applique lettering for the message you require. 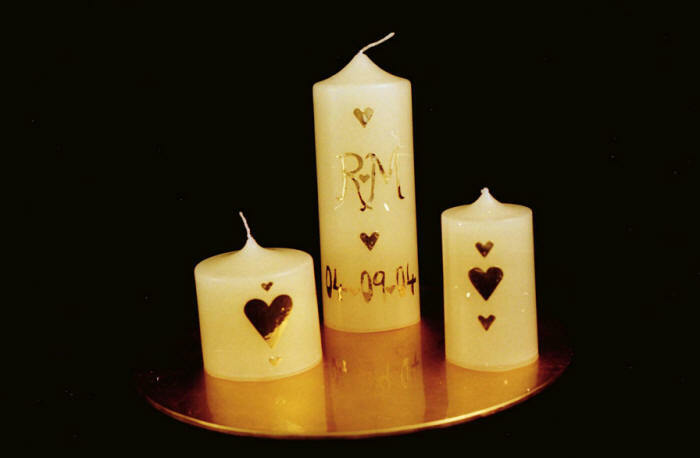 We have created candles for Weddings, Anniversaries and Christenings. One of our recent Wedding orders was for 150 heart-shaped floating candles in colours to match the bridesmaids dresses, to give to guests as favours. Prices start at £8 each depending on the design and amount of text required.